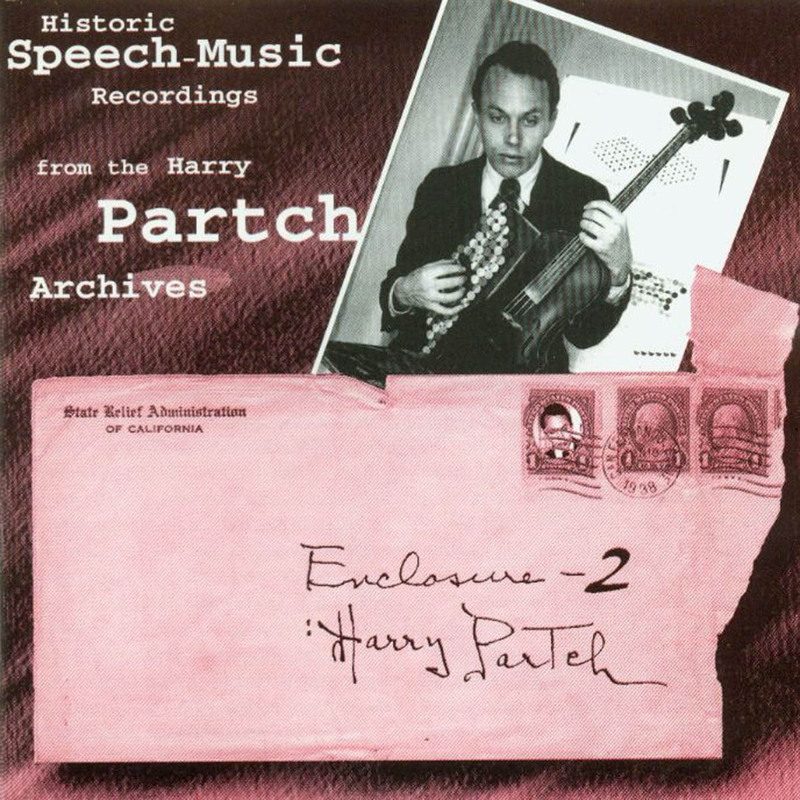 A Partch lecture on just intonation, interviews with Partch and his comments on a variety of topics, a newly recorded performance of excerpts from his 1935 hobo journal Bitter Music, and a sound documentary featuring Partch at the piano and reminiscences by his friends. This is the recording that helped start the re-awakening of Partch's legacy. "Should be welcomed with cheers . . . A considerable labor of love . . . Recordings like these don't often win those international prizes (mostly because the producers can't afford the hype). But I have no hesitation in declaring Enclosure Two one of the most important releases of the year." "These CDs fill out our picture of Partch into a life of tremendous complexity . . . a whopping four CD set . . . the lot is a treasure trove of early sketches and intimate moments that invite us to rethink Partch’s significance. The question becomes not, ‘Is Partch the greatest American composer?’ but, ‘Aside from Partch and a few others, does American music exist at all?" "Painstakingly and lovingly produced ...invaluable in providing us with some of the rarest Partch material in existence." — Art Lange, Musicworks 68 "Jiminy Cricket, what the heck do I have to tell you to get you to buy this four-disk album?" "Essential to any Partch collector." "...this recording is a must." "Jiminy Cricket, what the heck do I have to tell you to get you to buy this four-disk album?"